Just a short time ago, it was announced that the former Revel Casino owned by Glenn Straub had been sold to Bruce Deifik, a developer from Colorado, who has plans to rename the venue Ocean Resort Casino. 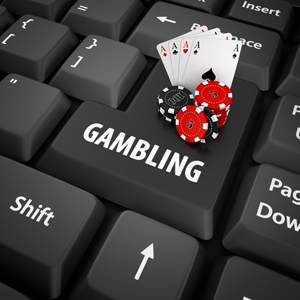 The property will hopefully open this summer, and we have now learned that the gaming venue will also be involved in the online gambling industry of the state. In a recent financial report, GAN announced they will be powering an online casino for the new Ocean Resort Casino in Atlantic City. The goal is to launch a real money iGaming offering during the first half of the year. Interestingly enough, GAN had powered a social casino for TEN, the name the Revel took on after Straub took over ownership. This creates a base for the real money gaming option for the new owners. Ocean Resort will now have to be approved for an online casino license with an upfront cost to be paid of $400,000. Every year, operators also have to pay renewal fees of $500,000. GAN already provides online gaming software for Betfair in New Jersey, so they should easily be able to operate the platform for Ocean Resort via a transactional waiver for operations. With the announcement, New Jersey will have one more online casino to offer, pushing their overall revenue earnings even further. In 2017, the state saw just over $245 million earned. With another operator in place, the state could surpass this mark for 2018. By the summer, Atlantic City should have two new gaming venues in operation with the opening of the Ocean Resort Casino and the Hard Rock Hotel & Casino Atlantic City. Both are racing to see who will open first. It seems the Hard Rock will most likely be first since they have been working on the former Trump Taj Mahal for some time now.